ICYDK, she's a champion DLSU Lady Spiker. 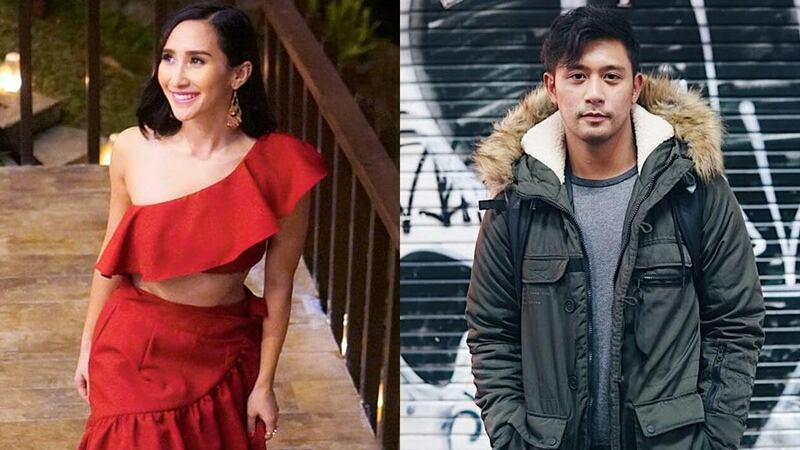 Kapuso actor Rocco Nacino was recently spotted with his rumored new girlfriend. An Instagram fan account uploaded and tagged a photo of the 30-year-old actor with professional volleyball player Melissa Gohing. 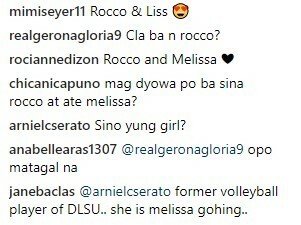 Netizens then wrote their speculations in the comments section about Rocco and Melissa's relationship. Melissa is a 26-year-old volleyball player who used to be part of the De La Salle University Lady Spikers. She was defense specialist in the collegiate team and has since been one of the fan-favorites for her fierce hardcourt skills. She even took home four championship trophies for her alma mater. She then went the route of a professional league athlete and is currently playing with the Creamline Cool Smashers team for the 2018 Premier Volleyball League (PVL). The photo of Rocco and Melissa was reportedly taken during the wedding of Melissa's former team captain and teammate Cha Cruz at Narra Hill in Tagaytay. As of now, neither Rocco nor Melissa has issued a statement about the photo and their newfound romance. This news came shortly after Rocco was linked with fellow Kapuso star and love team partner Sanya Lopez, whom he starred with in the recent shows Haplos and Encantadia.